Ville Valo groupies should be just about ready to lose it, seeing as his band Him haven't been up to much since releasing 2007's Venus Doom. Think of all those poor Gothic children running around out there wondering if their beautiful dark lord is actually going to grace them with more of his beloved crooning. It makes you want to cry. Those tears of fear will quickly become ones of joy though. The Finnish "love metal" brigade have announced that their seventh studio album will be released in February 2010 via Warner Bros. Records. The title has been set as Screamworks: Love in Theory and Practice and the recording of the effort will start this August in Los Angeles with producer Matt Squire (Taking Back Sunday, the Used) at the helm. They'd better get cracking on it, though. 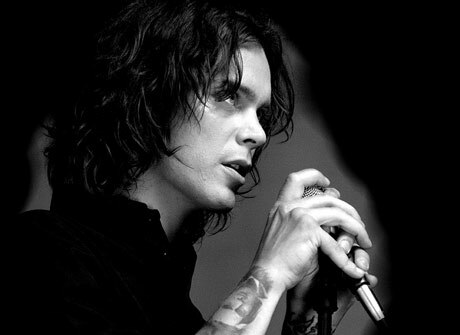 Valo asserts the album will be completed for a street date of Valentine's Day 2010. Knowing how much of a perfectionist he can be with their grandiose recordings, that day will come pretty darned quickly.